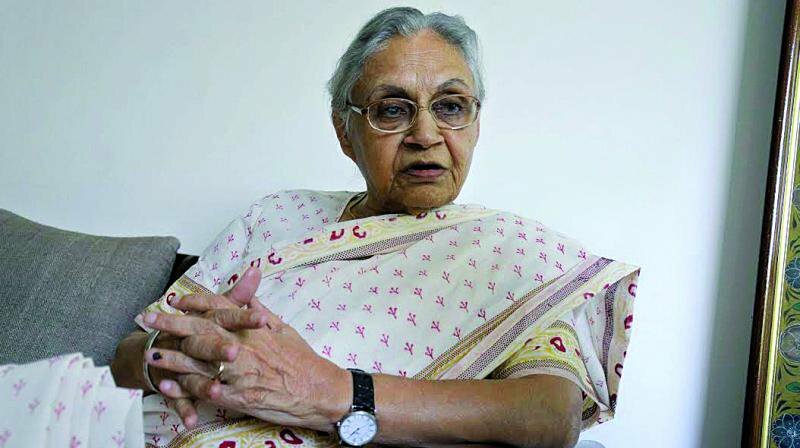 NEW DELHI, 10 February, 2019: Delhi Pradesh Congress Committee president Sheila Dikshit said that the people of Delhi are perturbed and disturbed at the deteriorating condition of Delhi since 2013, as ever since the Aam Aadmi Party Government came to power, Delhi has become a terrible place to live. She said that the national Capital is heading towards ruin, as the Kejriwal Government and the BJP-led MCDs have been only misleading the people with lies and falsehood without doing any constructive work. Sheila Dikshit said this while addressing a large convention of Congress workers, organized by the Kirari District Congress Committee, under the leadership of district president Surender Kumar. She said that she was happy to see thousands of people turn up for the convention which was a sure sign that people now want change, and they want the Congress back in power. Addressing the large Congress convention in which thousands of Congress workers were present, Sheila Dikshit said that after seeing the presence of thousands of enthusiastic Congress workers and general public in this convention, it seems to be almost certain that the Congress party will come back to power. She said that we are all perturbed and disturbed at the worsening condition of Delhi as after the exit of the Congress Government in 2013, Delhi has been constantly slipping on all fronts to head towards ruin, due to the ill-governance of the Kejriwal Government. She said that the people of Delhi wanted change and elected the Aam Aadmi Party to power with unprecedented majority in the hope that they will fulfil their aspirations, but the Kejriwal Government has proved to be a total let down to betray the confidence of the people.